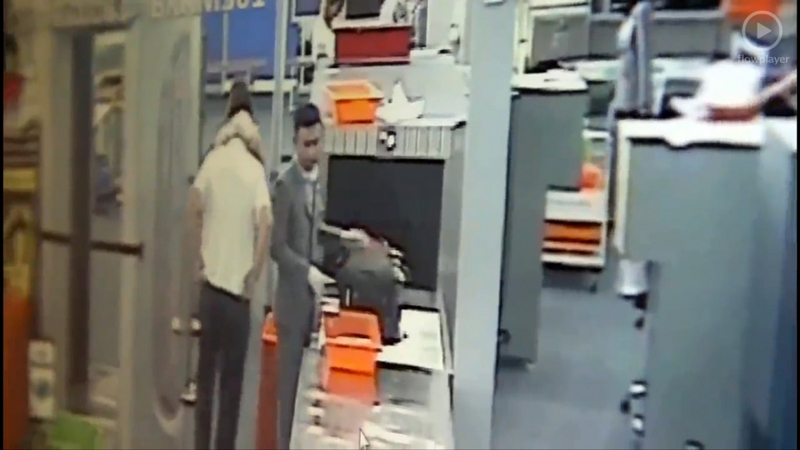 A security officer manning an x-ray machine at Bangkok's Suvarnabhumi Airport was arrested on Tuesday evening for allegedly stealing Bt6,000 (S$252) from the bag of an American tourist. Thanat Monthonrat, 25, a security officer employed by a private firm, was arrested at 6.30pm promptly after the 89-year-old tourist told a team of patrol security officers that six Bt1,000 notes had disappeared from his bag, which was scanned by Thanat. The tourist filed the complaint a few minutes after his bag was scanned. 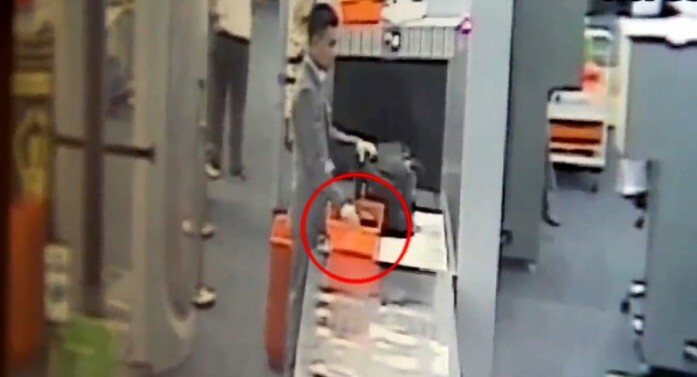 The security team then searched Thanat, who was still manning the x-ray machine, and found the money. Thanat initially denied the charge but the incident was captured on a security camera at the spot. He allegedly admitted that he wanted money to return to his home province as he found the work too tough. He has been hired for less than a month. Kittipong Kittikhchorn, deputy director of the airport, said he had summoned an executive of the private security firm and warned the company to be more careful in selecting staff. Kittipong said the airport's security measures meet international standards and what happened was an issue related to an individual. The deputy director said the tourist had left on a plane before the matter was resolved, so the money would be wired to him.